Oh. My. Goodness. 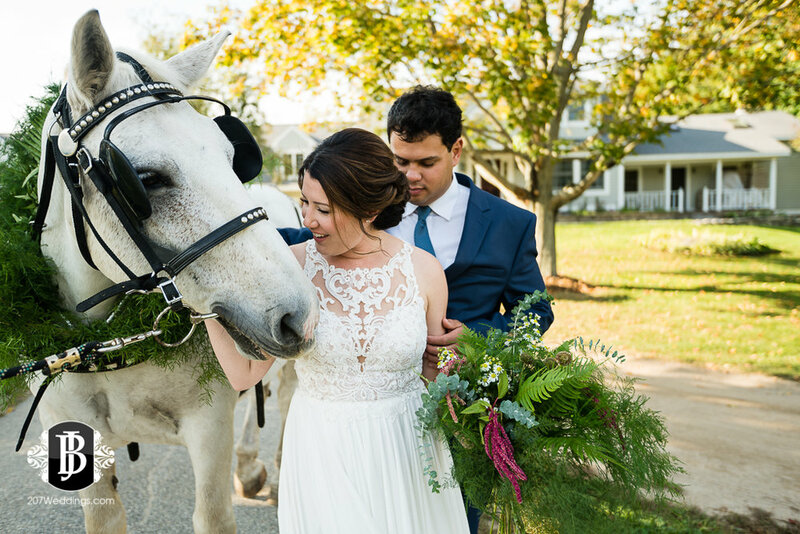 The immense professionalism in the Maine wedding industry continues to shine through each time I work on a collaboration project, and this one at River Winds Farm in Saco, Maine was certainly no different. Literal blood, sweat, and tears were poured into this venue and this project while getting it ready for the debut. Beth (the owner) and her gang of super-talented, horse-training, carpentry wielding, decorating, mowing, fixing, gardening and cleaning superstars completed an insane amount of work getting this stunning venue ready for presentation; and Elishia and her also insanely talented, hard-wording bunch with Simple Elegance of Maine were right alongside them from the start. The amount of work each and every one of them poured into this event is nothing short of astonishing, and it certainly paid off. I was so fortunate and humbled to be a part of the all-star team for this brand new venue's maiden styled shoot and vendor open house. It was amazing to be counted among some of Maine's best wedding industry professionals on this project, and I am just floored by how it all came out. And don't even get me started on the desserts.....let's just say I had to break my diet a few shameless times (I regret nothing). Each and every one of the vendors set a crucial foundation for the success of the shoot and open house, and I am elated with results! This sneak peek is just a sample of the amazingness of what was this day, and I hope you enjoy the images as much as I enjoyed crafting them! Lighting | Illuminated Fx, Inc.